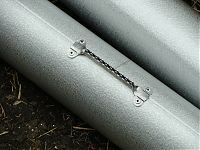 Racks, Keys, and Drives are used to fasten the downspout to the wall. 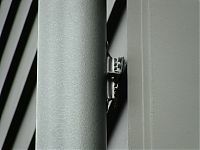 The Rack is fastened to the back of the downspout, the Drive goes into the wall, and the Key is used to lock the Drive to the Rack. 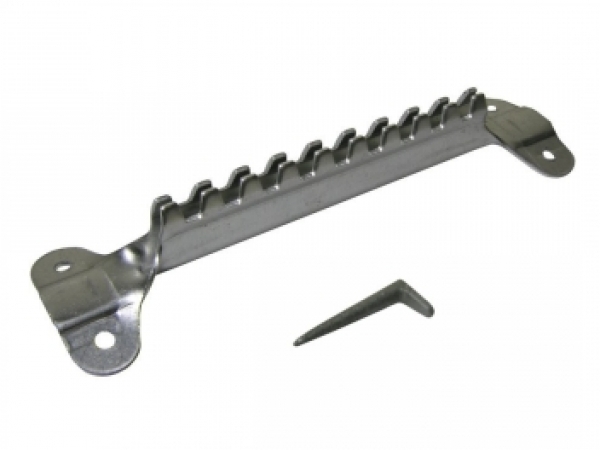 The Rack, Key and Drive are hidden behind the downspout to provide a nice, clean look. Used on many historical projects, this durable system is proven to sustain the test of time.